October 23, 2014. A church was consecrated in honor of the Protection of the Most Holy Theotokos in Dobropillia, on the feast day of the Venerable Ambrose of Optina. Metropolitan Hilarion of Donetsk and Mariupol, together with Archbishop Mitrophan of Horlivka and Sloviansk, celebrated the consecration and the first Divine Liturgy at the new altar. Many clergymen from the Diocese of Horlivka and Sloviansk concelebrated at the service. “These days are not for joy. Everyday we mourn. But among the things that surround us, today is a special day. It reminds us of old times, when we consecrated many churches and when people could lead a normal and full life. “God tests people in different times by various tests and events. 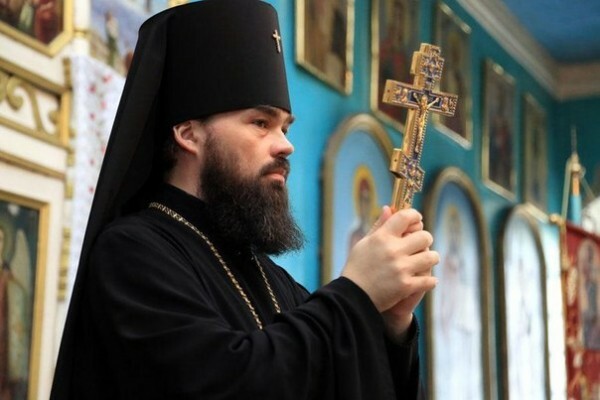 In the Book of Job we read about a certain righteous man who had always been pious and holy, serving God, and the devil felt jealous of him… There was a time when one church after another was consecrated here, in Donbass. We expressed our gratitude to God for this and were joyful that the Lord had sent such mercy on us: we built churches where people gathered, and opened Sunday schools. We considered it to be the security for our favorable future.